The third Worcester Park School to be holding their Summer Fair next Saturday (22nd June) is *drum roll* Cheam Common Schools! 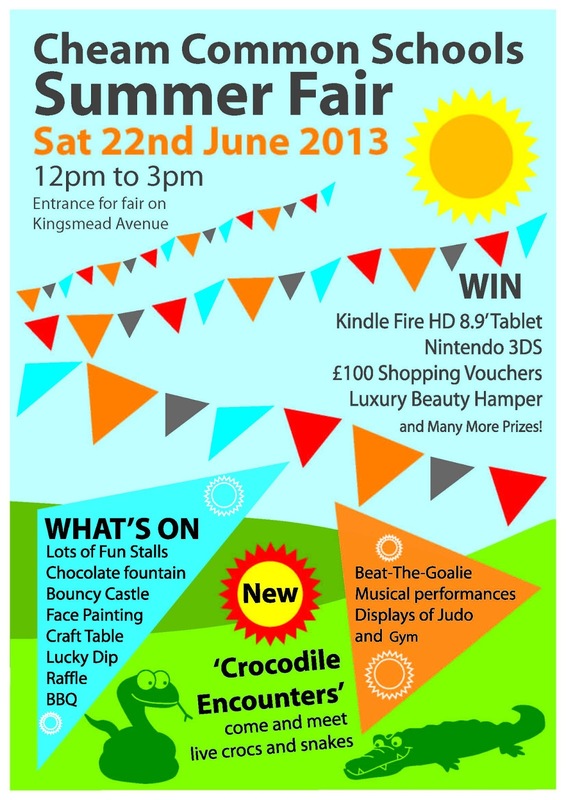 In competing for the best Summer Fair on the 22nd June in Worcester Park, Cheam Common Schools have gone to the trouble of organising live crocodiles and snakes! And they are offering some likely to be very popular raffle prizes plus they are having a chocolate fountain – that wins me over by itself! There will also be the usual array of fun stalls and games, a bouncy castle, BBQ, face painting, tombolas and there will also be henna tattoos, a craft table, musical performances, and an international food stall. 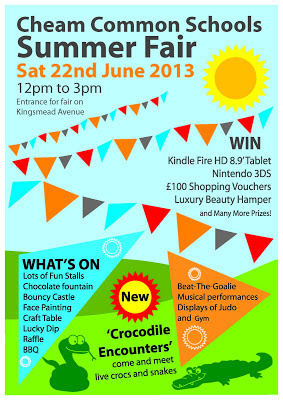 The fair is being billed as a fantastic day out for the whole family and will take place between 12 midday and 3pm. Please use the Kingsmead Avenue Entrance. Everyone is welcome!